"What do you think? A man had two sons; he went to the first and said, 'Son, go and work in the vineyard today.' He answered, 'I will not'; but later he changed his mind and went. The father went to the second and said the same; and he answered, 'I go, sir'; but he did not go. Which of the two did the will of his father?" They said, "The first." Jesus said to them, "Truly I tell you, the tax collectors and the prostitutes are going into the kingdom of God ahead of you. For John came to you in the way of righteousness and you did not believe him, but the tax collectors and the prostitutes believed him; and even after you saw it, you did not change your minds and believe him." "That's easier said than done." That was a familiar saying in my home growing up, but always meant something different depending on the tone. It could be said in sympathy, judgment, awe, or disbelief. Despite the tone, the words at their root convey a core truth - it can be much easier to say something than to actually do something. While that old phrase doesn't pop up in my vocabulary too often anymore, the sentiments still do. As a mother of three, I can relate to the father in this story. It's often "easier said than done" to get one child to say the right thing, and the other child to actually do the right thing. I imagine the eye roll I would try to stifle when one child says he won't do what I ask, even though we both know he will (why does he have to respond so stubbornly?). And the frustration that follows when the child who said he would do something still hasn't minutes (or hours, or days) later. Even when the actions seem predictable, I still hope for something different. It would be nice if the words and actions matched. It would be even better if they actually do what I ask! Jesus tells us stories like these so we can relate, but he also asks "what do you think?" When we look at others, we can see inconsistencies between words and actions. What about ourselves? Do our words and actions match? Do we change our minds when needed? Most importantly, are we doing what God asks of us? Heavenly Father, help us to respond to your will with our words and actions. When we say "no," help us change our minds to do what you ask of us. Amen. 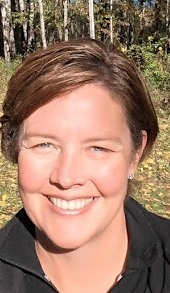 Kari Slotten serves as Director of Ministry and works on strategic initiatives.